–MIL-STD-1553B interface boards. The cards can operate as Remote Terminal (RT) or Bus –Controller (BC) for DHU Proteus interface or 1553 equipment interface. They could also be interfaced with on board computers. 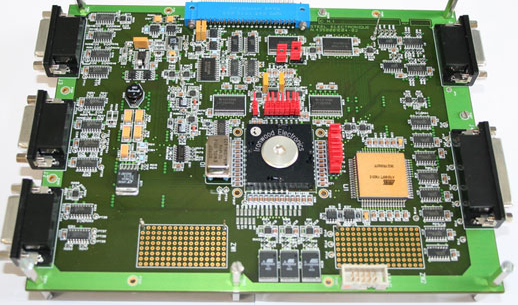 – SpaceWire MULTIPLEXER card which can be interfaced with on board computers: Avionics bus for the new generation of plateform (ISIS,…), Multiplexer function 3x SpaceWire links and OSLink, ITAR-FREE, FPGA RTSX72SU.